Request trial by combat at your own peril. 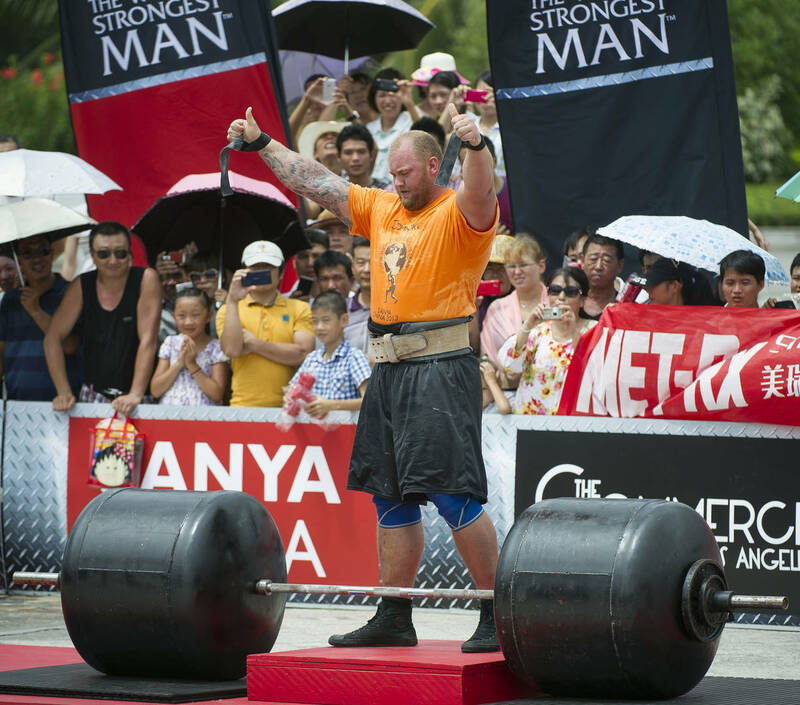 Halfthor Bjornsson is quite possibly the strongest man in the world. The Game Of Thrones actor has enjoyed a longstanding run as "The Mountain," who currently enjoys a tenured position as Cersei Lannister's bodyguard and only friend. Though Halfthor is the third man to fill the Mountain's considerable boots, he has certainly emerged as the most memorable choice thus far, with many praising his formidable presence in Season 4's classic episode "The Mountain & The Viper." Now, with his services inevitably set to be employed come season eight, Halfthor has used his post-Thrones time to work on his side hustle. Which is to say, lifting copious amounts of weight. The actor recently stopped by his gym in Iceland to attempt a feat of absolute monstrosity: deadlifting 1,042 pounds. TMZ got video footage of the insane endeavor, which finds Halfthor fuelled by testosterone-infused chants. After prepping himself up, he actually manages to succeed in lifting the weight, a truly impressive display of athleticism. Thor claims it's the heaviest deadlift to ever take place in a gym. It's no wonder the entirety of Westeros, barring a few pulverized exceptions, fear The Mountain's imposing presence. Who will be the one to dispatch with him?